1. Miller-the most common of all Amish last names. Joseph Stoll writes: “The German spelling was Müller, and because there were many Millers in Europe, the name was very common, with no common ancestor for many people of this name. There were a number of Anabaptists of this name in different parts of Switzerland.” Miller is most common in the Midwest; a few Millers may be found in Lancaster County, however. 2. Stoltzfus– The most common Pennsylvania Amish surname. Nicholas Stoltzfus (1719-1774) is believed to be the common ancestor of all those with this name among Amish and Mennonites today. Also occasionally seen spelled as Stoltzfoos. 3. Yoder – A Swiss-origin name apparently derived from the name “Theodore”. Amish bearing this name spell it Yoder; GAMEO gives the following historical alternatives: Ioder, Joder, Jodter, Jotter, Yoeder, Yother, Yothers, Yotter. “Strong” Jacob Yoder (c. 1726-1790), known for great physical feats, is one of the most prominent historical carriers of this name, with many descendants among Amish today. 4. Beiler– More commonly spelled Byler in Midwestern communities such as Holmes County, Ohio. Jacob Beiler (1698-1771), ancestor of most Amish Beilers/Bylers, arrived in America on the Charming Polly (not to be confused with the Charming Nancy) in 1737. Read Beiler’s will here. 5. Schwartz– A Swiss Amish surname. Nearly half of the Amish in the Adams County settlement bear this name (as of 2007, 529 of 1163 Adams County Amish families were Schwartz households). Also seen in Allen County, but not common outside of Swiss communities. 6. Troyer- Hans Treyer or Dreier was one of the first Anabaptists executed (was drowned with two others in Bern in 1529). John Troyer of the Kokomo, Indiana community, had possibly the largest family ever among Amish, with 31 children (29 of his own by two wives, plus two step-children), though apparently not all survived to adulthood. 7. Bontrager– other forms of this last name include Bontreger, Borntrager, Borntreger. Most frequently seen in northern Indiana. A Swiss origin name. 9. Graber- Another name common among Swiss Amish, but also seen in non-Swiss communities. 10. Fisher– most Lancaster Amish can trace their descent back to Christian Fisher who very likely arrived in 1749 aboard the Phoenix, along with numerous other Amish passengers. Other common Amish names include Hershberger, Schlabach, Hochstetler, Zook, Mast, Lapp, Schmucker, Schrock, Gingerich, and Weaver. Among the least common we find Lee, Bawell, Gascho, Neuenschwander, Jantzi, Ropp, Brandenberger, and Albrecht. Joseph Stoll, “Amish and Mennonite Family Names” (Parts 1-4), Family Life Dec 1968, Jan 1969, Feb 1969, Mar 1969. John A. Hostetler, Amish Society. David Luthy, “Yesterdays and Years: Fisher Family History”, Family Life, October 1995. Aden B. Raber, Raber’s Almanac (2013). I know several Amish Miller women who marry Millers. I know in Crawford County, PA there are many with the last names of Miller, Byler, Yoder, and Swartzentruber. It’s interesting to see the most (and least) common names in all of the plain folks. Those all sound familiar as well as Lambright and Stutzman. Hmmmm … my “estranged” father in law is from Indiana and we really don’t knot much about that side of the family. Wondering if there’s some Amish ancestry? We’re going to start up Ancestry.com so maybe we’ll learn “the rest of the story”? My husband does remember his father saying that the name was “Muller” and changed to “Miller” and that they came from Germany. What about the surname ‘Esh’? that seems to be quite prevalent in Pennsylania. David Luthy writes that the Esh/Esch/Eash surname is supposed to have come from two sources: 1-Esche, which is German for “ash tree”, and 2-a town named Aeschi in Canton Bern in Switzerland. And you are right this name is most prominent in the Lancaster County diaspora and is also found in northern Indiana (Eash) and a bit in Kansas (and probably here and there elsewhere). Another way of spelling it was Oesch, though I don’t think any Amish bear that version of the name today. Patti I have never seen that name belonging to any current Amish or in any historical context. If you disregard converts to the Amish, one of the least common Amish names has to be Riegsecker. The Riegsecker Amish originally settled in Fulton County — see David Luthy, “Settlements That Failed.” As far as I know, there is only one Amish family left with the name Riegsecker. One of the first guys I ever dated was Koenig, though I doubt he was of Amish ancestry. There’s a local opthamologist by the name of Albrecht. I don’t doubt it’s rare among the Amish…it’s not too common around here, either. It’s interesting to hear how names “evolve.” My Grandma Mary & her family came to America from Germany in 1904…she was about 10 or 11. Her family’s surname was “Szczech”, but was changed to “Shack” by the immigration officials on this side of the pond. Blue Gate is owned by a Riegsecker, who also owns lots of other businesses in Shipshewana. He is not Amish but I am sure he has Amish roots. Stop by Yoder’s Meat and Cheese Shoppe if you have time or have never been there. His father was Amish, at least one sister is still Amish, and his brother is the one remaining Amish Riegsecker that I know of. I myself was born a Yoder, married a Miller and am now married to a Kauffman. My parents were both from the Amish. Troyer and Yoder on paternal side and Miller and Schrock on maternal side. I still have many Amish relatives, especially on my mother’s side. They are 2nd or 3rd cousins. Have a few 1st cousins on my dad’s side that are still Amish. Thanks, Carol Sue. Yoder’s sounds delicious! How many total surnames among Amish? Great additions! I do wonder how many total last names are currently represented within the Old Order Amish. Hostetler’s Amish Society says there are 126 family names, but the last edition is 20 years old (at the time, there were only 144,000 Amish). Hostetler writes that 43 of the names were “American in origin” representing converts, and 18 of those represented single households. The total has certainly expanded with converts, but I’d guess it to be less than 200. My step-grandfather was a Troyer born and raised in Middlebury, IN. I have a grandparent George Rasler 1808-1882 that was from Landcaster County. His father, Daniel spoke dutch. I am wondering if Rasler is an Amish surname. George was married to Margaret Neff 1814-1892. I have a Neff family book. Is Neff Amish? Margaret was born in Somerset Co. PA.
We always joke that there are only 10the last names here in Holmes county! Many are on the list but at least 3 or 4 are pretty uncommon here. We are converts to the Beachy church. Everyone is from the old or new order so have the same few last names. We are the only people with our last name in the whole county so we mind our P’s and Q’s because everyone knows who we are lol! That’s funny Stephanie, I guess that keeps you in line. I think the Indiana communities of Daviess County and Adams County are probably about the worst (or best, depending how you see it) when it comes to repetitive last names. For a sidebar in my Amish business book I tallied up the names in Daviess Co, and found that 6 surnames accounted for nearly 90% of the families there. And I just checked and looks like about 70% of the Adams County people share just 4 surnames (Schwartz, Wickey, Hilty and Eicher). But, of those, only “my” Beilers/Boilers/Bylers and Fishers were Amish. I have no idea where my Troyers come from. I know I’ve never had any relatives at all in Indiana, only in Pennsylvania and Ohio, and a few, long ago, in Virginia. Oh and yes, Jacob Beiler/Boiler/Byler who you’ve listed up there is my who knows HOW many greats-grandfather lol. Huh, and an uncle (via marriage) by the last name of “Dreyer” — wonder if related to who you mentioned above; all I really know about him, family-wise, was that his background was mostly German, and he was a wonderful guy who left before his time (heart attack in his early 50’s). It’s amazing how many people I grew up knowing and/or know now who have traditional Amish surnames, but who aren’t Amish, and if their families ever were, it’d be a long time ago now. I’ve known plenty of Millers, Schwartzes, Schlabachs, Kuhns and Hiltys. I know there are others, they’re just not coming to mind right now. Interesting list. I’m surprised not to see my name on the list. I’ve been doing a lot of genealogy research lately and so far every Amish Shetler I’ve met has been a relative! Scott, Shetler would definitely make a list of Amish names. Maybe not the most common name compared to those above, but common enough. You probably know there are quite a few Shetlers in Holmes County, OH for example, with roots back to Somerset County PA.
Hochstetlers not on list of ten? I am surprised as there are likely over 500k descendents of immigrant Jacob, prominent as they are in the midwest states. Noah this is ten of *the* most common, not *the* ten most common. Hochstetler would be in the group of common Amish names and could have been included in this selection of 10. In fact I added it in the bottom bit on additional common names. Any Amish with the surname Bright? I’ve seen there are a lot of Brights in Pennsylvania. I’ve also noticed that there are Lambrights and Albrechts among the Amish. Are there any Brights or Albrights? The Koenig descendants of the immigrant Samuel Koenig were Amish. I also have Mast (from Bishop Jacob Mast), Yoder, and Kurtz ancestors who were Amish. I have a great grandfather from Germany with a sir name if “Hummel”. I often wondered if he could have Amish connections? He lived in North Western Pennsylvania and until he married there does not seem to be much information on his life. I have been to Holmes Ohio and love it there. If not Amish/ Mennonite or under the Anabaptist umbrella, where would that surname originate from? Vidya I don’t know the background of those surnames, have never heard of them connected with the Amish. Is "Sible" an Amish or Mennite surname? I was told that my great grandmother was Amish. Her name was Margaret Elizabeth Sible. Margaret’s father’s name was Thomas, and her mother’s name was Tilliah (Tillie). Thomas’s father’s name was Henry Sible, who came from Byron, Germany. Some of Thomas’s siblings’ names were: Mary, Phebe, Elisabeth, John and Lewis. Do these names seem Amish to you? Seible (http://www.lmhs.org/Home/Research/Genealogy/Genealogy_Resources/Surname_Files#) is a Mennonite name, so it is very possible that there were some among the Amish as well. 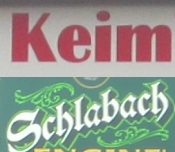 Spelling variants are quite common, almost the norm, for German names that were anglicized. I checked in the Amish genealogy data-base and the book Amish and Amish-Mennonite genealogies and found no listings. I wonder if she was Old Order River Brethren? That’s a name I would associate with that branch of people. I will look into the Old Order River Brethen. My Great Grandmother was born in 1879 and lived most of her life in Westmoreland County, Pennnsylvania. Just a follow-up to my original question. My mother told me that my Great Grandmother Sible married a man who was not Amish, Henry Wynkoop, and then was shunned her entire life by her family. My Great Grandmother had 13 children who loved her very much. My mother told me she was a very strong but gentle woman. Did Mennonites also shun their members? The Mennonites also excommunicate, but tend not to shun socially as strong as the Amish. But that all varies from family to family. A conservative Mennonite will socially shun stronger than a liberal Amish family might. The Reist (now called Mennonite) side of the division said that means only to not “eat” the Lord’s Supper with the excommunicated. The Amish side said that means to not eat regular meals with them. Both sides would excommunicate for sin after conversion, the difference was in whether to not eat socially with the excommunicated. The issue has plagued the Anabaptist movement since its beginning. To be honest, the Scripture is not specific as to whether “not to eat” refers to the Lord’s Supper, or whether it means any eating. If your great grandmother was shunned, that means at one time she would have been a member of the church, and then sinned (according to the church’s opinion) and did not show evidence of repentance. Marrying someone outside the faith would have been an example of something that would have caused her to be shunned. Of course, I do not know if that was the reason. A person cannot be shunned by the church if they were never a member. Thank you for your reply. I will be going through old family documents for more insight into our family background. Perhaps I will be able to find something in an old bible. I just did a quick google search on “seible mennonite” and found clear evidence that the Seible family has Mennonite connections. Check with the Lancaster Mennonite Historical Society, at the link I put above. They have genealogical information on most of the Mennonite families. If you are close, you could visit there and browse their archives where they have oodles of genealogical materials. They are on the east edge of Lancaster, PA.
Muddy Creek Library is not too far from there and they have a huge database of the Old Order Mennonites. They printed me out a 100-page document of my wife’s pedigree (she was a Martin), going back to about 15 generations. But Seible is not a prominent name among the old order Mennonites. I used to live in Lancaster County and the Seible name rings a bell as far as being Mennonite, or like Mark mentions, maybe River Brethren. The River Brethren are a branch off the Mennonites, and had many Mennonites and Amish join them in their early days. For some reason I feel a connection to the Amish. I use expressions such as “redd up the table which is an amish term. My decedents are from German, Weinberger, Scotch, and Pennsylvania Dutch. I know that Pa. Dutch is Amish connected. I love reading Amish Fiction Books. I have checked some geneology my mother had done and can’t find any Amish names in that report she gave us. My parents are both deceased but sure would like to know how or why I feel that connection. I am really fascinated with the Plain people. I had an Aunt and Uncle that lived in Pennsylvania but don’t know where as when we visited I was only about 7 or 8. Is Beustring an Amish name? No, Beustring is not an Amish name. Erik, when I click on “recent comments,” the comment I click on disappears and I cannot read it or respond to it. Something is wrong either with our computer in the office or on the server or whatever. Thanks for letting me know Mark. It’s probably a cache issue, possibly due to settings on this end. Do me a favor, try to clear your browser cache, then do the same action again. Does it work after you do that? Okay, I think it’s a problem with the caching plugin I’m using. I recently updated to a different one. I think the problem is that it’s not updating the page with the new comment. You are essentially being directed to a saved copy of the page, where the comment does not exist yet. This function makes the site run and load faster but it’s obviously not good for users wanting to engage the comments. I’m looking for a solution, thanks for your patience, and thanks for letting me know about this Mark. You are welcome. It must be working now, as I could get right to the comment. Thanks! Got it & could click right on it to reply. Okay so after some investigation I changed a setting which I hope should do the trick. Do me a favor and if you notice anything similar happening when posting comments in the near future, let me know here or drop an email to ewesner@gmail.com . Thanks Mark! Well found out Jacob Beiler who came to the U.S. on the Charming Polly in 1737 was my great-great-great-great-grandfather, and I’d love to read his will, but the link won’t work. Is there any other place you know of that the will might be online? Thank you! Among the Southern Maryland plain communities, Swarey was also a common name. Can you confirm where this one came from? Christian Swarey was born 1789 in Germany and died 1864 in Pennslyvania. To add on to Marcus’s comment, it was apparently originally spelled “Schware”, and one source I have says that it is believed that Christian’s grandson, also named Christian (b. 1858), was responsible for the spelling change from Schware to Swarey. Other places the surname is or has been found include Pennsylvania counties Mifflin, Juniata, Lancaster and Lebanon. Source – Family Life, “Yesterdays and Years: New Names Among the Amish” Part 3. There are some Swareys in the New Order settlement in Salem/Rosebud, Indiana, also. In Kentucky there is a Davis Amish Furniture. Does the Davis name have any Anabaptist history? The Middlefield, Ohio, Amish settlement (4th largest Amish settlement in the world) seems to have surnames similar to those in Holmes County, including Yoder, Miller, Weaver, and Gingerich. What are other common surnames in the Geauga Amish settlement? I know Amish who moved from Geauga County to Ky. and they say that Byler and Detweiler are also common names in the Geauga settlement. There may be others, also. I took an ancestry test a year ago and it states that I have genetic community links to the Amish areas in Ohio,Illinois, Indiana or South Iowa. I was wondering if any of these surnames can be found in the community. I know there is an area southwest of Goshen, Indiana, named Foraker.